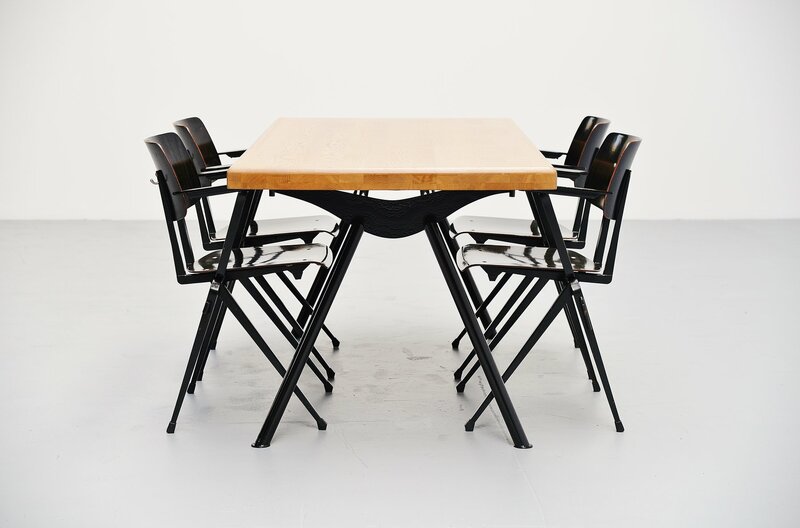 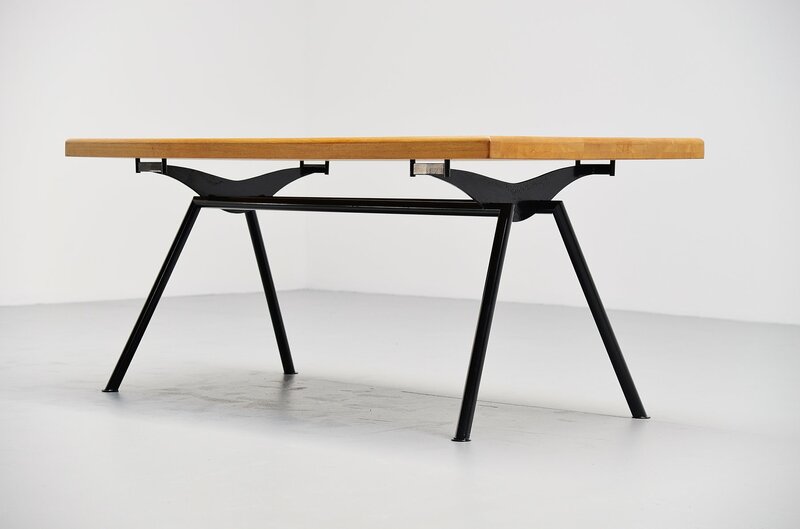 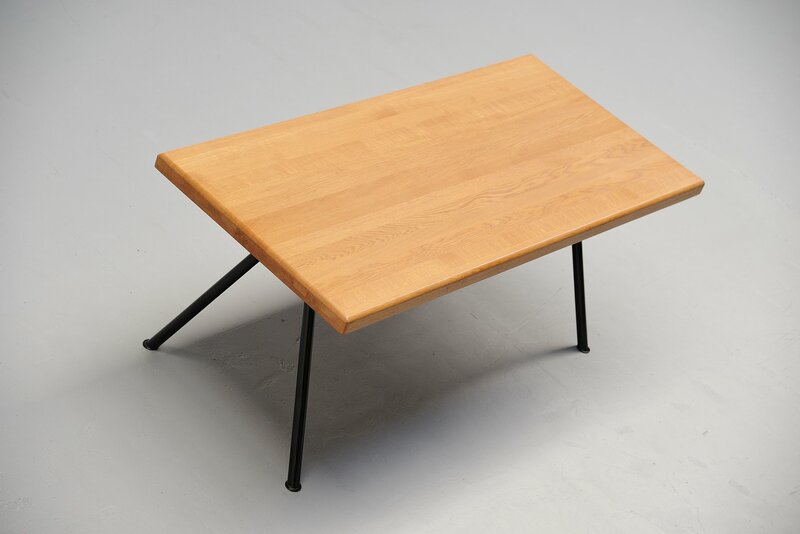 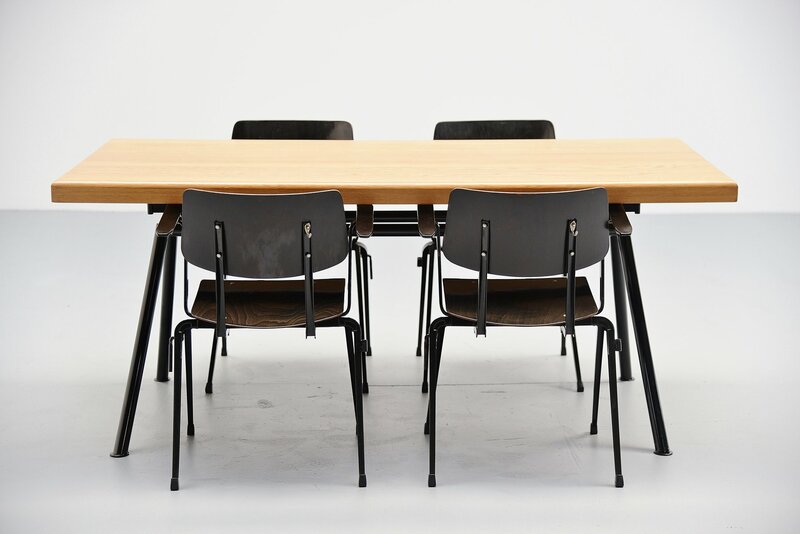 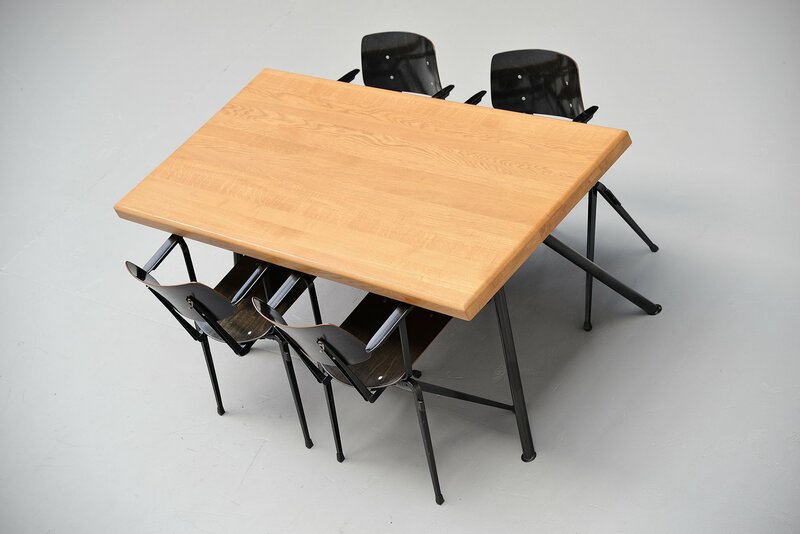 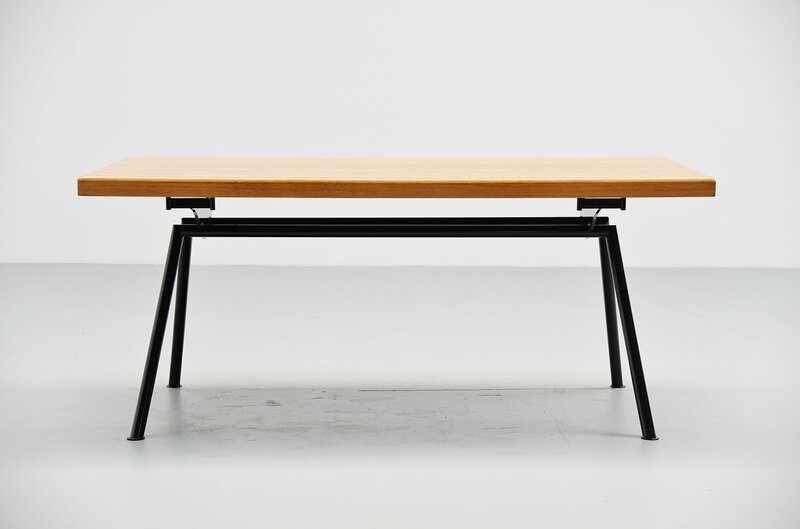 Quality industrial dining table made by unknown manufacturer or designer, France 1960. 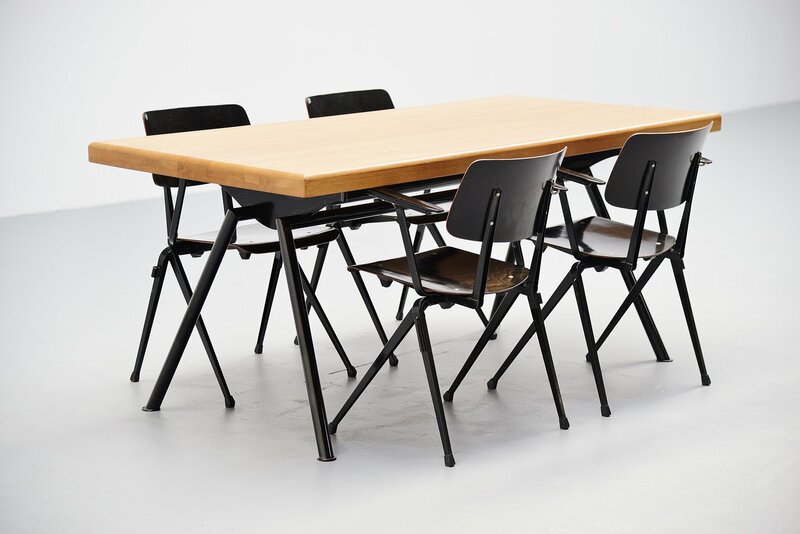 These table frames were bought in France and were in horrible condition. 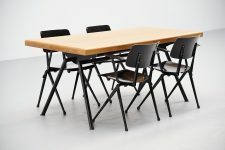 We professionally repainted them in black, red or grey. 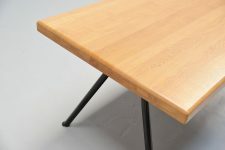 And customized them with these solid oak tops. We have 3 tables left, 1 of each color. This is for one with black coated frame and light oak wooden top. 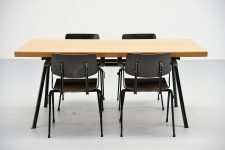 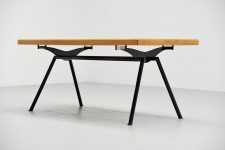 The table is in excellent condition and quality wise it is similar to the designs of Jean Prouve and Charlotte Perriand. 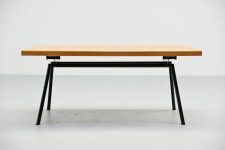 Very nicely made base, also possible to purchase without the top.